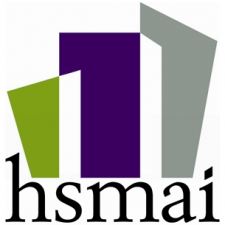 HSMAI is the largest and most active travel and hospitality marketing association in the world. For over 70 years, HSMAI has provided a professional forum of leaders and innovators of the hospitality industry. Comprised of over 5,000 members in 31 countries worldwide, it is dedicated to enhancing sales and marketing management skills in the travel and hospitality industry through education and networking opportunities. Serving the hospitality industry for more than a century, the American Hotel & Lodging Association (AH&LA) is the sole national association representing all segments of the 1.8 million-employee U.S. lodging industry, including hotel owners, REITs, chains, franchisees, management companies, independent properties, state hotel associations, and industry suppliers. Headquartered in Washington, D.C., AH&LA provides focused advocacy, communications support, and educational resources for an industry generating $155.5 billion in annual sales from 4.9 million guestrooms. The Food and Beverage Association of America is dedicated to promoting and advancing friendly relations between members, encouraging continuing education, assisting in career growth, providing industry-related scholarships, and providing philanthropic support for critical social issues. NYSH&TA is the oldest state lodging association in the country. Founded in 1887 in Saratoga Springs, NYSH&TA originally represented New York State’s Lodging industry. Today the association includes members from nearly all segments of the tourism industry. The association represents more than 1,300 members including hotels, motels, resorts, conference centers, country inns, bed & breakfast, universities, and other suppliers to the industry. The association is a not-for-profit organization of more than 7,000 restaurateurs, foodservice operators and suppliers, representing over $13.2 billion dollars and 389,000 jobs in New York State. We are dedicated to protecting, promoting, representing and educating our members to better serve the public. The society is a not-for-profit fraternity of true epicures and connoisseurs, which are dedicated to the propagation of high standards and ethics of the culinary profession. It was created to perpetuate the memory of Auguste Escoffier. The Escoffier Society was designed to become the high authority on fine dining and was founded for the purpose of promoting a better understanding and greater appreciation of the art of good living. Established in 1878, the Hotel Association of NYC is one of the oldest professional trade associations in the nation. Its membership includes more than 170 of the finest hotels in New York City, representing more than 60,000 rooms and 30,000 employees. It is an internationally recognized leader in New York City’s $5 billion tourism industry. Time and Date www.timeanddate.com/worldclock What time is it…anywhere!